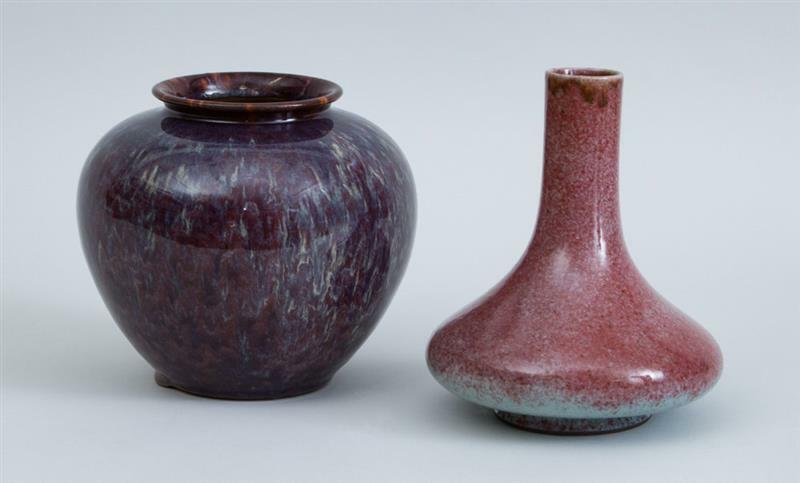 HUDSON, N.Y. — The top lot of Stair Galleries’ April 22–23 auction came late on the first day in the form of a Chinese speckled peach bloom glazed porcelain squat pear-form vase that was offered with a purple speckle-glazed porcelain spherical vase. From the collection of Ambassador and Mrs Joseph Verner Reed, the pair was estimated at $500-700 but attained $110,000, including the buyers’ premium. Among artworks performing well was a John F. Francis (1808–1886) oil on canvas painting, “The Dessert,” 1872, signed and dated, with label from Hirschl & Adler Galleries, Inc., Richard York Gallery, New York and Berry-Hill Galleries that earned $60,000. A complete report on the auction will appear in a future edition.